I am Entitled to Miracles! When we say we are entitled to miracles, we are saying that we are entitled to Love. We are entitled to have peace of mind and live a peaceful existence. Many times though, we do not experience our lives this way. We seem to struggle for just one glimmer of happiness, no matter how fleeting it may be. We have searched for peace, love, and happiness many times out in the world, and every single time we came up short. Based on the spiritual text, A Course in Miracles, I am Entitled to Miracles! provides a down-to-earth approach to its sage wisdom. Throughout the book easy practical application exercises help readers to apply these wise spiritual principles. Rev. Deborah Phelps, of MiraclesOne, has been studying and teachings A Course in Miracles since 1993. With humor, honesty and love, she knows that she teaches what she herself needs to learn. As a meditator since 1980 and a trained meditation teacher, Rev. Deb knows the value of silence, inner peace, and a strong connection with the Holy Spirit. Buy the book on Amazon for Kindle and in print! Rev. 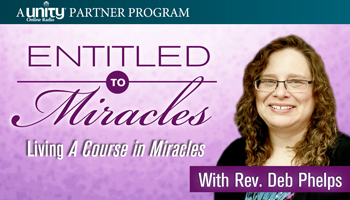 Deborah Phelps has been studying and teaching A Course in Miracles since 1993. She is the co-founder and senior minister of MiraclesOne Center for ACIM in Madison, Wisconsin, a spiritual center dedicated to the practical application of A Course in Miracles. Through MiraclesOne, she conducts online and phone classes and study groups, in addition to producing a host of audio and video materials to support ACIM students. Her “Practical Miracles Messages,” her weekly talks at the church which are videotaped for public viewing, are filled with humor, honesty, and love, as she knows that she teaches what she herself needs to learn. A meditator since 1980 and a trained meditation teacher, Rev. Deb knows the value of silence, inner peace, and a strong connection with Holy Spirit. Many of her teachings with her husband, Rev. Paul Phelps, are available on YouTube and iTunes. Join Rev. 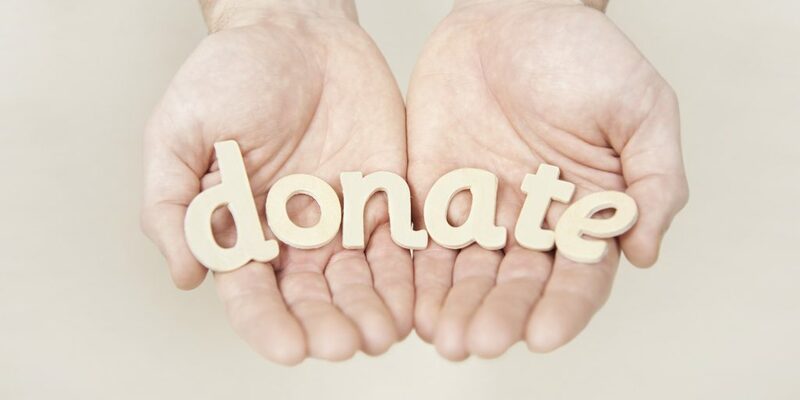 Deb on Unity Online Radio with the Entitled to Miracles Radio Show.